De beste regelaar voor grote boten met 2 motoren tegelijke aandrijving. but with broader operating voltage range of 6...28 V (6...24 V lead-acid batteries). 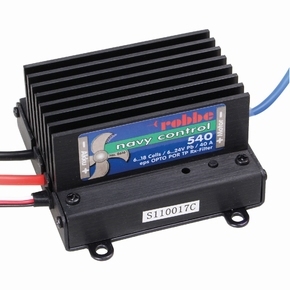 With extreme heat-sink to cope with a continuous load current of 40 Amps, as required for high-capacity batteries. Sealed with acrylic lacquer to protect from splash damage.